THE management of the Nigerian Ports Authority, NPA, has raised its staff gratuity to 280% of total emolument, from 180% after long negotiation with the staff union. Revealing this in Lagos during the 40th anniversary celebration of the Maritime branch of the Senior Staff Association of Statutory Corporations and Government Owned Companies, SSASCGOC, held weekend, the group’s President, Comrade Adamu Yau, said the union and management agreed to commence the implementation of the approved salary structure adding that payment of arrears of the new salary structure to staff and officers has also started. However, he said the struggle for improved workers’ welfare is not yet over as the package could be better than it is currently. The union’s boss also called on the government to rehabilitate the port access roads with a view to increasing its revenue from the port industry. He stated: “Achieving quick delivery of cargo and improved turn-around of vessels had been in the front burner of the NPA management. Meanwhile, the management of the NPA has commended the SSASCGOC for improved industrial harmony currently being experienced in the port industry. 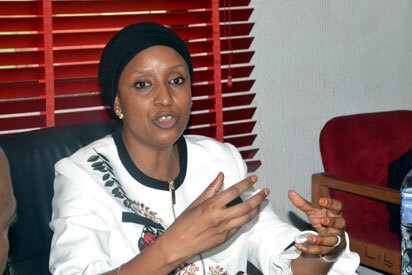 Speaking at the same ceremony, Managing Director of the agency, Ms Hadiza Bala Usman, said that the relative peace has brought about improved productivity and earnings for the NPA. Usman said that welfare of workers of the agency is top priority for management adding that the management will remain committed to this. She stated: “As an association of senior employees, management of NPA appreciates your contributions to the smooth operations at the ports. “It is gratifying to note that the industrial harmony that pervades the nation’s maritime industry is a product of your commitment to the vision and mission of the Authority”.